Launched in 1931, The Met’s Saturday matinee broadcasts are the longest-running continuous classical radio series in American broadcast history. WJMJ is pleased to bring you the 88th season of the live Metropolitan Opera Saturday radio broadcasts both on-air and on this website beginning December 1, 2018 and running through May 11, 2019. Please click here for a schedule of the Met's Saturday matinee radio broadcasts. For more information about The Metropolitan Opera, please visit its website at www.metopera.org. The contents of The Metropolitan Opera Saturday matinee radio broadcast are copyrighted by The Metropolitan Opera, all rights are reserved, and any use or reproduction of any of the material therein without permission of The Metropolitan Opera is strictly prohibited and will be prosecuted. The 2020 Oberammergau Passion Play - Reservation Deadline and $100 Per Person Savings Extended to January 18, 2019! This is a 13 day/11 night tour from July 20 - August 1, 2020. This tour will also be Hosted by Father John Gatzak, and features Austria, Germany and Switzerland. Highlights include: Vienna, a Danube River Cruise, a Mozart Dinner Concert at St. Peter’s Restaurant, Munich, the Oberammergau Passion Play, the Black Forest, Château de Chillon, Zermatt, and Lucern. Your tour also includes 19 meals; 11 breakfasts, 1 lunch and 7 dinners, and if you book by January 18, 2019 you'll Save $100 per Person on land and air packages. Reservations will be filled on a first come, first served basis. You saw how fast our Alpine Explorer tour sold out, so send in your deposit TODAY! Please note that there is only one (1) Single room available, and there are no triple room accommodations for this tour. If you would like to learn more about this tour, you may view an archive to the special webinar that was held on September 5, 2018 by visiting: View Webinar. There is a short registration form to complete which then takes you to the webinar archive. For more information contact Scott or Lauren at (203) 758-7367 or email pilgrimage@ortv.org. To learn more about the history of the Passion Play, please click HERE. Preliminary planning is underway for the Office of Radio & Television's and WJMJ Radio's return to the Emerald Isle... Ireland in September 2019. This will be a 14 day/12 night pilgrimage tour featuring: Dublin; Trinity College with Book of Kells and the Long Room; St Patrick’s Cathedral; Guinness Storehouse; Glendalough Visitor's; Knock Shrine; Galway Cathedral; Kylemore Abbey; Cliffs of Moher; Kenmare Smokehouse; Blarney Castle; Jameson Experience; Waterford Crystal; JFK Homestead; Tintern Abbey and so much more. The dates are tentative so stay tuned for more information. 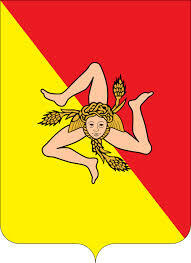 Preliminary planning is underway for the Office of Radio & Television's and WJMJ Radio's 14 day/12 night pilgrimage tour to the beautiful island of Sicily from October 31 to November 13, 2019. Preliminary itinerary includes Palermo; Monreale; Erice; Cefalu; the Marsala wine region; Agrigento... and the Valley of the Temples; the mosaics at the Villa Armerina; Savoca and the Barone Palantia estate... where scenes from The Godfather were filmed; Taormina and its Greco/Roman theatre; Mt. Etna, Europe's tallest active volcano; Siracusa and its old town Ortigia; the UNESCO World Heritage cities of Modica and Ragusa; and much more... And not to mention the wonderful Sicilian people, food, wine and sweet treats. Stay tuned for details. On Friday morning, October 5, 2018, Archbishop Leonard P. Blair of Hartford, visited WJMJ's new transmitter site and pressed the button that raised the transmission power of the station to 100% as allowed by its Federal Communications Commission's license. WJMJ's new transmitter broadcasts both the traditional FM signal as well as three digital HD Radio channels. Listeners with HD Radio receivers in their cars, homes or businesses will hear a superior quality sound on HD-1, the channel simultaneously carrying WJMJ’s music and information mix. On the other HD channels, listeners can hear Catholic programming from EWTN, the Eternal Word Television Network. The EWTN programs are in Spanish on WJMJ HD-2 and in English on WJMJ HD-3. This allows WJMJ to better serve an audience that wants to hear traditional Catholic religious programming and Connecticut’s growing Hispanic population. 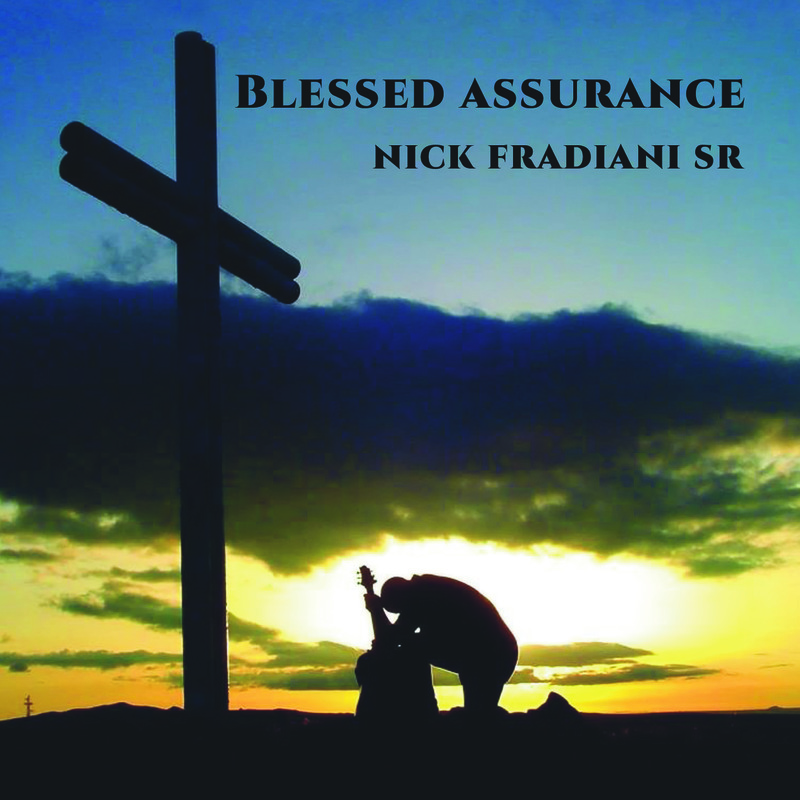 Nick Fradiani, Sr. has performed six inspirational songs especially for the Office of Radio & Television that are now available on his Blessed Assurance CD for a donation of $15. Proceeds from this CD will benefit the Celebration of the Eucharist daily television Mass, produced by the Office of Radio & Television. The television Mass brings Good News to Life® to tens of thousands of residents in Connecticut daily. The television Mass reaches out to the homebound, especially those who have been disconnected from their local parish communities through illness or age. It's mission is to provide for the spiritual well being of those who may need the prayers of the Church community at challenging times in their lives. If you would like your very own copy of Blessed Assurance, please click the CD cover. On Sunday, April 15, 2018, Archbishop Leonard P. Blair of Hartford celebrated a special Mass for persecuted Christians in the Middle East at St. Mary Church, New Haven. Click HERE to read more about it. More than 400 people from the Archdiocese of Hartford attended the Annual March for Life in Washington DC. See their stories on Crossroads Magazine here. There is help for those who need healing in the aftermath of losing a child. Learn more about Project Rachel and the Hope After Abortion. Click to read Pope Francis' 2018 message for the celebration of the 51st World Day of Peace. Click to read Pope Francis' Christmas 2017 "Urbi et Orbi" message. Hartford Archbishop Leonard Blair voiced his concerns for the division he has noticed creeping into our society in a letter that he had asked to be read at each Mass in churches throughout the Archdiocese of Hartford the weekend of September 2-3, 2017. To read the letter or print a copy for yourself click . The Archdiocese of Hartford announced a major reorganization that will close some of its 212 churches and combine some parishes. Parishes left untouched by the process will number 68, and by the end of June 2017, there will be 127 parishes operating in the Archdiocese. Some churches will remain open, available for weddings or other worship, but with no scheduled Mass. Other churches will be re-purposed to serve their communities and some may be sold. A total of 26 church buildings will close. The reorganization is the result of an archdiocesan-wide pastoral plan begun last spring due to factors such as a declining number of priests and lower attendance at Masses. You can learn more about the Pastoral Planning process at the Archdiocese of Hartford Website http://www.StewardsForTomorrow.org. Click to read Pope Francis' 2017 World Day of the Sick message: Amazement at what God has accomplished: “The Almighty has done great things for me…” (Lk 1:49). Podcasts Are Here You asked, we listened. We are pleased to announce that you can now listen to podcasts of In the Afterglow and the Archbishop's Corner by visiting our Listen Now page. Happy listening! Physician Assisted Suicide Information The Connecticut Catholic Public Affairs Conference, Archdiocese of Hartford Pro-Life Ministry, Diocese of Bridgeport Office for Pastoral Services - Respect Life Office, and the Family Institute of Connecticut sponsored four information sessions on Physician Assisted Suicide for Connecticut Catholics and friends during November 2014. Please click HERE to view streaming videos of the four presentations. The Archdiocese of Hartford and dioceses across the nation, as well as non-Catholic religious and non-religious groups are vigorously opposing the new federal health care insurance legislation, which will require that all employers (with few exceptions) pay for health coverage that covers sterilization, contraception, and medication that induces abortion. Archbishop Blair, as well as all U.S. Catholic bishops, asks you to oppose the new United States Health and Human Services mandate on health insurance. This legislation violates the basic principle in our country of freedom of religion. Your resistance to this edict will be appreciated. Please contact your respective U.S. legislator and ask them to intervene on behalf of religious freedom. Click here to find the contact information for your U.S. legislators. A Statement on Religious Liberty by the Ad Hoc Committee For Religious Freedom, United States Conference of Catholic Bishops. Listen to Father John's "Time Out to Take A Stand" message on the HHS mandate. Read a transcript of Father John's "Time Out to Take A Stand" on the HHS mandate in English or Spanish. Read Cardinal Timothy M. Dolan's Wall Street Journal op-ed piece on Religious Freedom.